We extend our best wishes and gratitude to John H. Eichhorn, MD, as he transitions from over three decades of incomparable leadership and mentorship roles with APSF and within the specialty to finding more time to spend with his wonderful wife, Marsha, in retirement. Dr. Eichhorn was part of the original APSF leadership and was the founding editor of the APSF Newsletter. He led the Newsletter from its inception in 1985 until 2002 and continues to serve on its Editorial Board today. As APSF’s archivist and in recognition of the foundation’s 25th anniversary in 2010, Dr. Eichhorn created an extensive special Newsletter edition chronicling the remarkable positive influence that APSF has had on improving anesthesia patient safety. His contributions as APSF Newsletter founder, editor, and mentor to his successors have made the Newsletter the world’s most widely distributed anesthesia publication. Dr. Eichhorn, originally from Cleveland, Ohio, is a graduate of Princeton University and Harvard Medical School. After starting in general surgery, he switched to anesthesiology residency training at Harvard/Beth Israel Hospital in Boston. He joined the Harvard faculty in 1979 and remained there until moving to Jackson, Mississippi, in 1991 where he served more than a decade as professor and chair of anesthesiology at the University of Mississippi. He subsequently transitioned to the University of Kentucky, completing his distinguished career there and retiring in 2017. There have been many awards and honors for Dr. Eichhorn in recognition of his contributions to improving patient safety. 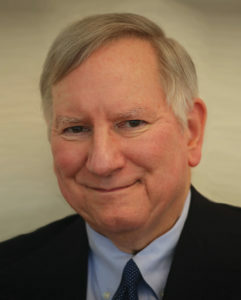 For example, in 2011 the Joint Commission/National Quality Forum consortium presented him with the highest honor in patient safety, the John M. Eisenberg Award for Individual Achievement in Patient Safety and Quality. Receiving a number of additional career recognition awards in the past decade, he continues to serve the specialty and our patients by tenaciously advocating for practice improvements that lead to better patient safety and outcomes. His time in APSF leadership roles is drawing to a close, but his efforts and their profound, positive impact will continue long into the future. Dr. Eichhorn has left a remarkable legacy and all of us and our patients are better for it. Dr. Mark Warner is President of the APSF and the Annenberg Professor of Anesthesiology, Mayo Clinic, Rochester, MN. Dr. Warner has no disclosures with regards to the content of the article. Eichhorn JH: Prevention of intraoperative anesthesia accidents and related severe injury through safety monitoring. Anesthesiology 1989;70:572–577. Eichhorn JH, Cooper JB, Cullen DJ, et al. Standards for patient monitoring during anesthesia at Harvard Medical School. JAMA 1986;256:1017–1020. Barash P, Bieterman K, Hersey D: Game changers: the 20 most important anesthesia articles ever published. Anesth Analg 2015;120:663–670.